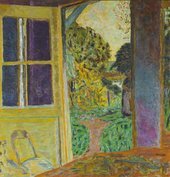 Pierre Bonnard’s positioning as a modernist has been contested for decades. Disagreement on his position as an artist is reflected through the market as well as through art criticism. 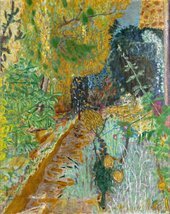 Join curator of the exhibition Matthew Gale and artists' Timothy Hyman and Laura Grace Ford as they debate the reasons behind Bonnard's rediscovery. This conversation will be chaired by Dr Lucy Whelan. Ford completed a BA in Painting from the Slade in 2001 and an MA in Painting at the RCA in 2007. In 2013-2014 she was Stanley Picker Fellow at Kingston University. She is author of Savage Messiah, Verso 2011 and is currently a Somerset House Studios resident and TECHNE funded researcher at the Royal College of Art. Recent shows/ projects include Open Your Palm, Feel the Dust Settling There Somerset House London 2018, Flaneuse TCU Texas 2018, The Sky is Falling CCA Glasgow, Alpha/Isis/Eden Showroom London 2017, Chthonic Reverb Grand Union Birmingham 2016, Itinerant Code Tensta Konsthall, Stockholm 2015, Seroxat, Smirnoff, THC, Stanley Picker Gallery, London 2014, Ruin Lust Tate Britain 2014. Lucy Whelan is a postdoctoral researcher at the Humboldt University of Berlin, supported by the Alfred Toepfer Stiftung. Following her doctorate at the University of Oxford, Lucy is currently finalising a book on Bonnard, titled Pierre Bonnard Beyond Vision, that will offer a new interpretation of the artist by examining how his work challenges the role of perception in visual art. Lucy has previously studied, worked, and taught at the Universities of Oxford and Cambridge, and Goldsmiths College, University of London. Her wider interests include modern art in France and Germany, the value of looking slowly at artworks, and approaches that treat art as a form of enquiry. Timothy Hyman is a painter (elected RA 2011); as well as ten London solo shows, he has exhibited widely. He published a monograph on Bonnard in 1998 (Thames & Hudson), judged by Hilton Kramer as “by far the best thing ever written about the painter”, and characterised by Jed Perl as “so heartfelt, lucid, wise”. He was lead curator for the Tate’s Stanley Spencer Retrospective and his most recent book is The World New Made: Figurative Painting in the 20th Century (Thames & Hudson 2016).